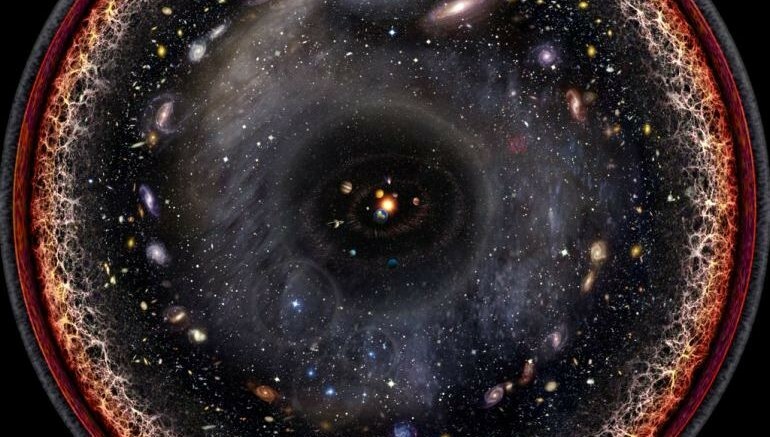 The scale of the observable universe is large enough to be impractical for a visual depiction in a geometrical manner. However artist Pablo Carlos Budassi has taken on the challenge by its horns with his fascinating work that encompasses the entirety of the known universe in a single image. Now of course, he eschewed geometrical measurements in favor of a logarithmic scale. This very concept is based on the previous logarithmic maps created by Princeton University researchers who used data compiled from the Sloan Digital Sky Survey. In fact, this survey is known for making the ‘most detailed three-dimensional maps of the Universe ever made, with deep multi-color images of one third of the sky, and spectra for more than three million astronomical objects.’ Budassi also used NASA images that were taken with the aid of telescopes and space rovers. The question naturally arises – what is difference between the logarithmic scale and a simpler geometry-based mathematical value. Well simply put, in the case of the logarithmic scale, each increment on the depicted axes goes up by a factor of 10. Suffice it to say, such an ‘adjusting’ scale is tailored to representing the gargantuan scope of the known universe. But while such an enormous ambit is possible to be represented by an image, their artistic merit (or rather familiarity) is a bit complex for ordinary folk like us to understand. So in a way, Budassi has succeeded in artistically translating such a complicated scope into something we can grasp and comprehend. To that end, the solar system has been depicted in the middle of the artwork. Outside this zone, we can identify the Kuiper belt, Oort cloud (the fringe space around our Solar System which is formed of the primordial dust that gave shape to the gravitational astronomical bodies of the sun, planets and moons), Alpha Centauri star, Perseus Arm, Milky Way galaxy, Andromeda galaxy and other proximate galaxies. Beyond them lie the cosmic web, cosmic microwave radiation, and the invisible plasma (along the edge) created by Big Bang itself. Then when I was drawing hexaflexagons for my [son’s] birthday souvenirs I started drawing central views of the cosmos and the solar system. That day the idea of a logarithmic view came and in the next days I was able to [assemble] it with photoshop using images from NASA and some textures created by my own. 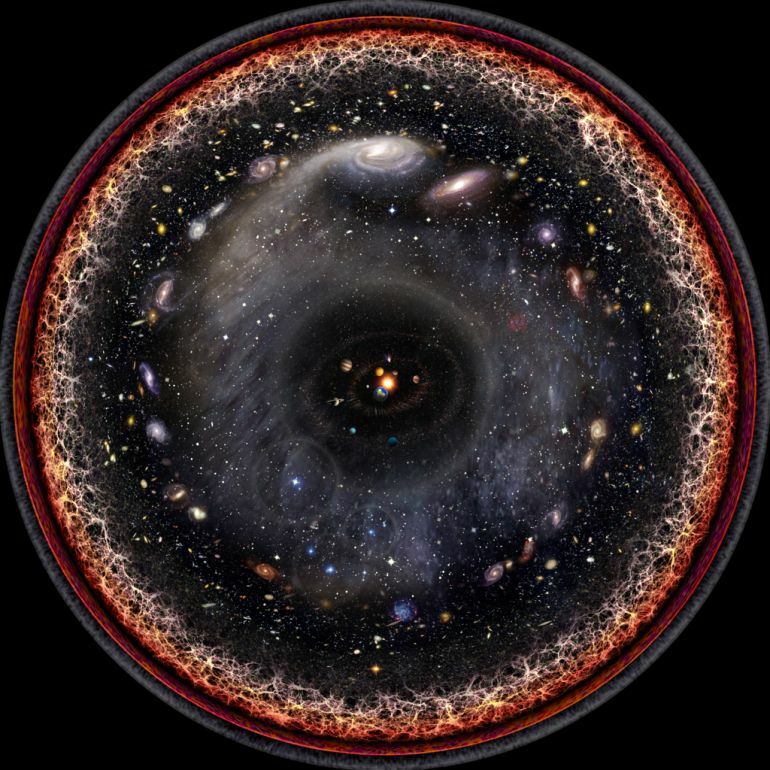 You can check out bigger images of the observable universe from this Wikimedia link.